Like whole lavender flowers, powdered lavender can be used to make floral waters, perfumes, skin lotions, soaps and other body care products. However, the powdered form presents entirely new possibilities. Mixed into a paste with a small amount of flour and water, for instance, powdered lavender can be used to make beads for jewelry. Lavender powder can also be combined with baking soda and used to freshen carpets or to make a non-abrasive cleanser. Of course, the powder can also be encapsulated or tinctured. Note, though, that powdered lavender flower is greenish in color, not purple. Also, this variety of lavender is a hybrid between English lavender (L. angustifolia) and Spike lavender, also known as Portuguese lavender (L. latifolia). Because it contains camphor, the herb a slight piney flavor and scent. 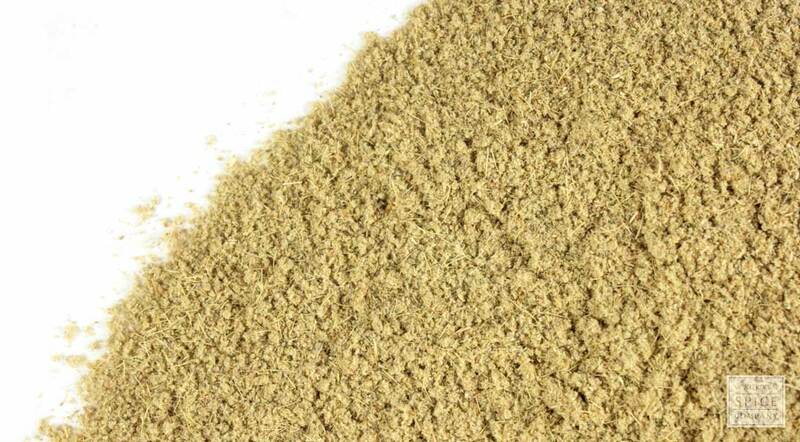 appearance & aroma Fine green powder with a mild lavender scent. cosmetic Use in soaps, infused oils, salves, skin tonics, body powders and facial masks. household Combine with baking soda to make a natural carpet deodorizer. The herb is also a natural insect repellant. 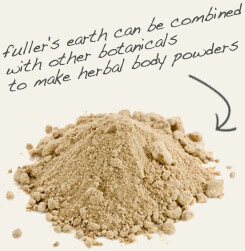 Combine with Fuller’s earth and a bit of water to make facial and body masks. 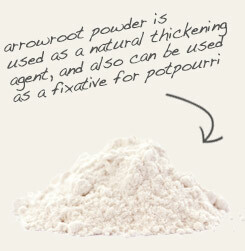 Blend with arrowroot powder to make body powders. Powdered lavender is used to flavor baked goods, teas and confections. Pairs beautifully with chocolate, vanilla and most berries. Powdered lavender is easily incorporated into herbal teas and cookies, cakes and candies. Because the herb contains antioxidant compounds and is a natural insect repellant, lavender has many uses around the home. Combined with sage, rosemary, wormwood and other herbs, lavender is an ingredient in the traditional culinary and antiseptic concoction known as Four Thieves Vinegar.